Meet Dave and Cush! These two are friends of the already famous beards on the right, Phil and Jeter. Dave’s from NY and has been a Colorado mountain man for the past 15 years. He typically always has a beard but recently shaved it—we won’t hold it against him. This kayaker is only clean shaven for the season and once it’s over he quickly grows it back to stop the feeling of being consistently naked in public. He is an all natural type of man, has never once let a comb touch his locks. To his left is Mr. Cush from Hotlanta! He’s been living in Denver for the past two years. Upon arrival to the Mile High City, Cush let the beard do as it pleased. He finally escaped the clutches of corporate America and was free to live as the universe intended; with beard. He thanks the beard every day on the slopes for his free ski mask. 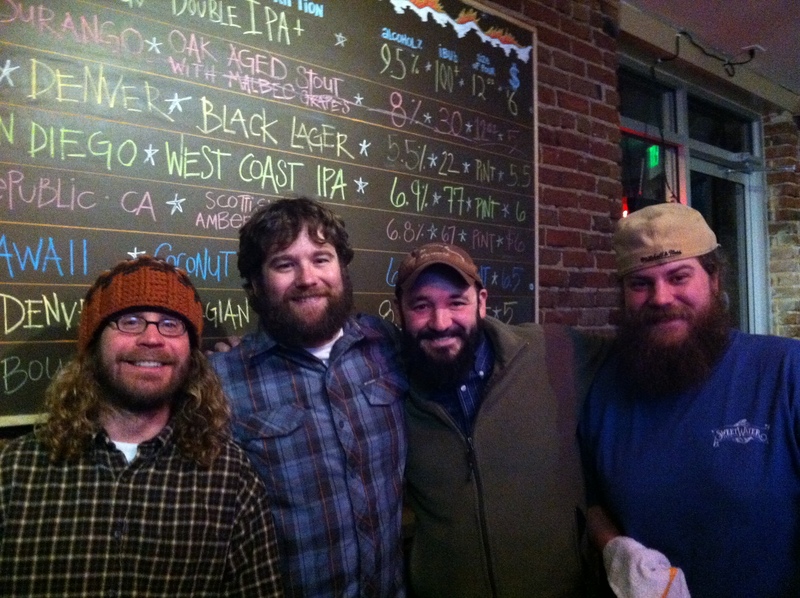 Nice meeting these ‘Fire on the Mountain’ Beards! Hey folks. I made a Beard T-shirt that’ll be available in the “I Heart Denver Store.” this month. Or available on cafe press now!